Mobile phone users can now activate or deactivate data services by simply calling or even by sending an SMS to 1925. The said number is toll free and will be up and working from next month onwards. Deactivating mobile data wasn’t as easy in the past. The method varied in complications differing from one mobile operator to other. The long numbers and a different one for each telecom service made the process messier. Even to obtain the deactivation number, the user had to first call the customer care, which too was made chargeable lately. The famous habits of the customer care officials to keep the call on hold for longer to make more money had not escaped the commoners’ eyes. The action taken by TRAI was a result of the innumerable complains received by the department from clients that mobile operators have been retaining the method of deactivation, which was very complicated to earn additional income. “These complaints primarily relate to… non-availability of data relating to data utilization… non-availability of data to shoppers each time the data pack is exhausted..activation of web service on mobile telephones with out the specific consent of the buyer,” TRAI stated. TRAI issued a directive, which mandates all telecom operators to present toll free number ‘1925’ from September 1 to activate or deactivate mobile web service both by making a name on the number and following instruction or by sending a SMS. You can simply send an SMS to 1925 by writing ‘START’ to activate and ‘STOP’ to deactivate the service. Many a time the data is on and some not so tech friendly users are unaware of until they see the bill. With almost all phones being Internet enabled phones now, no special efforts are to be taken by the user to activate data. 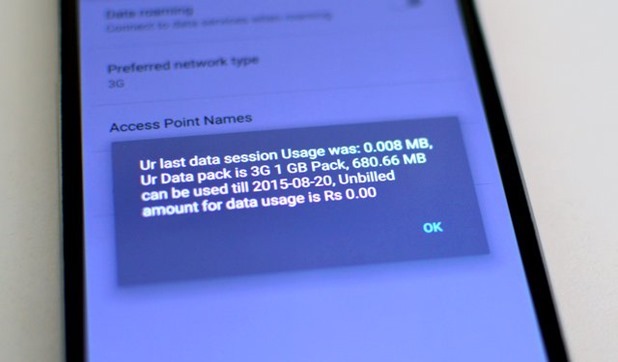 The mobile operators taking undue advantage of which get things started on. So now on, telecom operators may have to instantly reply to buyer about standing of activation and deactivation of their service. As a sign of warning, the regulator has requested telecom operators to ship alert to these clients who haven’t subscribed to mobile web service, however use it as per their want, after each 10 megabyte of data consumed by them. Consumers may even have an choice to opt out of this alert. The new modification issued in Telecom Consumers Protection Regulations directs telecom operators make sure that the subscribers aren’t charged a penny for utilization past subscribed restrict with out their specific consent. “No service supplier shall activate or deactivate the data service on the Cellular Mobile Telephone connection of a shopper with out his specific consent,” the Telecom Regulatory Authority of India stated. This is definitely going to be a worth added service to beat the value added services which the telecom companies rub in the faces of consumers! "TRAI Makes Single Number Mobile Data Deactivation Mandatory, Brings Strict Norms For Data Usage Information", 5 out of 5 based on 8 ratings.